Did you catch the opening ceremony of the Olympics? I'm so confused as to why it was on AFTER the games had already started, but regardless, I appreciated this article about it from the New York Times. Yikes, it's really scary that food companies can basically put whatever they want on labels and not worry about anyone finding out the truth. It makes me even more focused on buying local and fresh. Here's a great post about mislabeled foods. I just picked up some kiwis at the grocery store, and I really want to make this kiwi iced dessert, with only three ingredients! 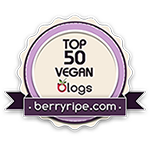 I'm so excited to be on this list of healthy waffles!! I love this post from the Vegan RD about what a vegan dietitian eats. Since I'm studying to become a dietitian myself, I'm always curious how established RDs eat. Here's a great list of gluten-free bakeries on the west coast that was curated by my friend Adina of Gluten-free Travelette. Lordy, do I need to buy some buckwheat flour as soon as Snowpocalypse 2014 ends so I can make these chocolate teddy grahams STAT! Fork and Beans really is a genius. Speaking of Snowpocalypse 2014, here is a news article from USA Today about the current state of the northwest. Now, even though people complain about the snow and how "we don't/can't handle it", I think it's a refreshing change of pace to stop everything because we're forced to. I stayed up late last night, slept in this morning, and have enjoyed a leisurely way of life I don't usually get to have. I'm perfectly content with this Snowpocalypse going on a few more days so I can enjoy a few more days off. Plus, it's dang beautiful out there.